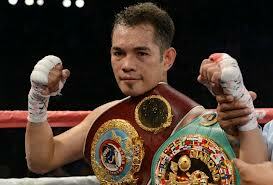 The ‘Filipino Flash’ Nonito Donaire Jr. is cultured to the sweet science of boxing that made him of what he is today. His offensive and defensive skills could not be earned overnight but the talent itself is a by product of his longtime exposure to boxing that molded him to the sweet science at an early age. His looking for opportunities, openings, setting up and reading his opponents style while in the ring and accordingly adjust himself to counter his opponent’s movement is what the sweet science is all about. His TKO of Toshiaki Nishoka in the ninth round is an offshoot of Donaire’s setting up the Japanese into a trap luring him to engage which Nishioka has obliged and responded with a bunch of punches but it was promptly and beautifully countered with a thundering right straight from Donaire that pin the Japanese down, unable to continue and the referee stop the bout for good. His knockout of Fernando Montiel in two rounds was a good example of his good anticipation, tremendous power and excellent counter punching ability. His recent fight and the third round demolition of Jorge Arce is an example of Donaire’s patiently waiting for opportunities from his opponent’s side to open and the Mexican warrior did in the second round which led him to suffer his first knockdown. Arce then did open again the opportunity for Donaire in the third round that enable the Filipino fighter to inflict a three punch combination against Arce leading to his early demise a minute before the round ended. The Arce fight as many observers say, was a sweet revenge by Donaire to his fellow Filipino fighter, Manny Pacquiao, who was knocked out by the legendary Mexican boxer Juan Manuel Marquez in the sixth round seconds left before the round ended. Pacquiao who has never been knocked out cold in his boxing career, has ebbed out the Filipino people’s spirit staggering down the drain over his loss. Donaire’s victory against Arce a Mexican fighter like Marquez, has made Filipinos’ spirit lightened up again after just a week of mourning. To cement Donaire’s legacy as the undisputed champion in the Featherweight division, he has two boxing matches left to settle, either with undefeated Mexican boxer champion Abner Mares, a Golden Boy Promotion protege. If it would not be possible to make the fight with Mares because of differences still persist between these two leading boxing promotional camps then Donaire’s co-stable in Top Rank, Guillermo Rigondeaux, the Cuban Olympic gold medalist would be his next option before moving up to the Super Featherweight division where an array of elite fighters await him. 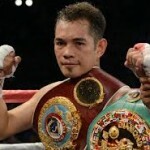 Let’s just wait what will be in store for Nonito Donaire in 2013, now he has decided to do more fights starting next year.